We offer a wide variety of solutions such as Inventory Management, authorized assessment, and special installation projects. FutureTel has the organizational flexibility to engage in large scale firm ware installation projects that involve high volume and quick turnaround time. All mobile devices are assessed by trained professionals using the latest in Radio Frequency (RF) frequency testing equipment. We use best practices in assessing all mobile devices; and only conduct testing to manufacturer specifications. FutureTel has over 13 years of experience in swap stock, parts inventory and forecasting. FutureTel has always and will continue to work with the top mobile carriers in Canada. We understand carriers’ needs and offer customized solutions based on the principles of quick turnaround time, quality repair and exceptional service. Carriers have the ability to check repair status updates and get up to date information by utilizing our secure web application. FutureTel specializes in electronic data exchange with multiple carriers to enable them to track repair status to drive client services. We offer a customizable advanced exchange program that gives our clients maximum flexibility. We will continue to provide solutions aimed at giving our clients maximum efficiency to ensure they drive and increase their customer satisfaction. 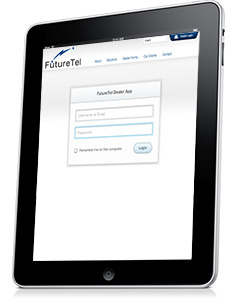 FutureTel Service Centre has always put an emphasis on providing an effective solution for our end user customers. We understand the importance of needing to stay connected and the difficulties with not having your mobile device. We have built our end user solutions around the principles of quality repair and quick turnaround time. As an accredited service centre FutureTel operates in accordance with manufacturer (OEM) quality standards. All of our technical staff are directly trained by the manufactures. 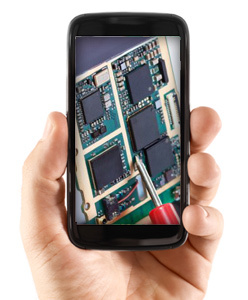 We only use OEM approved test equipment, software and authentic parts to complete and process repairs. With over 13 years of experience, FutureTel has the structure and stability in place to deliver a reliable repair with the quickest turnaround time possible.